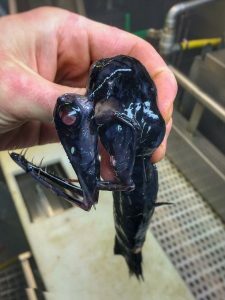 These Might Be The Most Monstrous Deep- Sea Discoveries Ever! 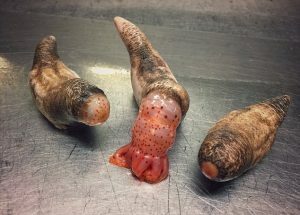 We have forever been intrigued by the alien world and all the weird looking creatures around, but it looks like we missed understanding that there exists a strange world right beneath us. We need to know that alien creatures do not just belong to outer space but are present right below us. 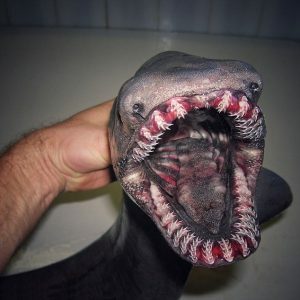 An unknown plethora of strange and monstrous creatures right out of your nightmares exist under water. 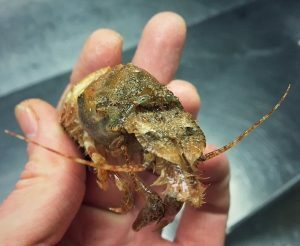 A Russian fisherman, Roman Fedorzov posted a couple of pictures of weird looking creatures on his Twitter account, and the pictures are right out of an underwater horror movie. 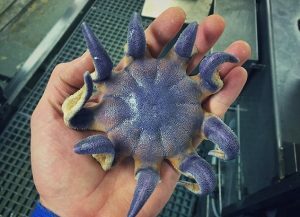 Count in eight-legged arthropods, fishes with dagger-like teeth, or even ghost sharks, these creatures are terrifying, and they will leave you scared to death. 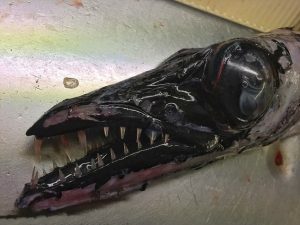 Here are the deadliest and the most monstrous creatures that he found. 1. 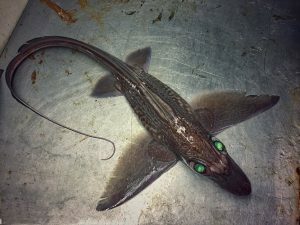 Meet an elusive eel-like shark with terrifying teeth. 2. 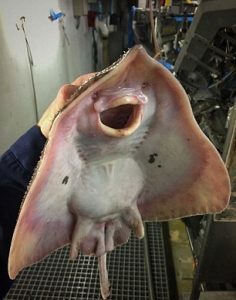 Look at this alien looking creature with sharp teeth. 3. 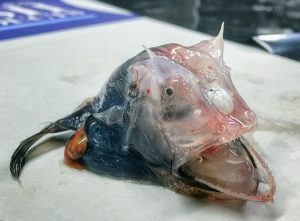 Now, this one looks like a ghost shark with dead eyes. 4. 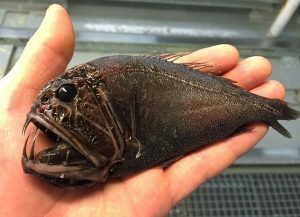 This is a black scabbardfish with deadly teeth. 5. 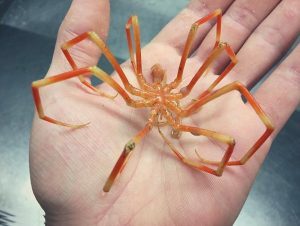 A sea spider with spindly legs. 6. Rattail!! 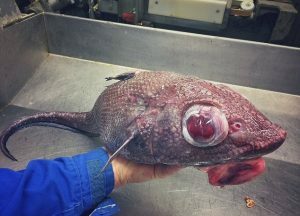 One mysterious creature with bulging red eyes and a big head. 7. Isn’t this one deadly. 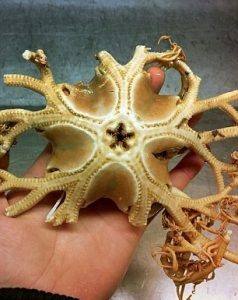 Soon after he started posting his pictures on Twitter, people started debating about his remarkable finds. 9. 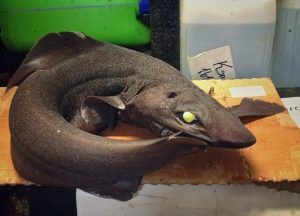 A deep sea shark; look at them, eyes. 10. We are sure, we’ll think twice before dipping our feet in the sea now. 11. And we know this little thing! 12. That’s a beautiful color, isn’t it? 13. Not all of the catches were fishes, like this one. 14. And these, oh, well. We are ot of words, here. A storyteller with a passion for all that is fun, heartwarming, neat & controversial.